Is it time to replace my 20 year old water heater? My water heater (gas) shows a date of 1991 on it, although the house was built in 1993. There is nothing wrong with it. It is a little slow to heat the water up, sometimes taking almost 5 minutes to provide hot water (early morning, colder nights) but other than that there is no problem. I hear that one should be replacing the water heaters every 20 years. Is this true? if it breaks, its going to flood the surrounding area. I dont want to replace it unless I have to. How can I check on this? UPDATE: Based on the inputs, I have decided to replace the water heater. It may be a $250 for the check/clean/replace the rod/valve/sediments that I can add to the purchase of a new one and not worry about it for the next few years. (1) Not changing the anode rod, leading to corrosion that eats through the tank. If you haven't had your water heater's anode rod replaced (typically about every 10 years), then this thing is a ticking time bomb, and it will fail very soon. Note: Some of this depends on location -- the harder the water, the worse these problems will be. If you don't have a water softener, you should immediately replace the unit. PS: What you want to use as a temperature setting is up to you, but you should keep it at at least 120-125F, raising the temperature up to 140 degrees Fahrenheit once a month to ward off Legionnaires' disease, which carries a 30% fatality rate. You may have the thermostat on your heater set too low. Gas heaters are either on or off; when they're on, they can really make that water nice and toasty in a hurry. Check the thermostat and the temperature of the water in the tank (if you don't already have a temperature gauge you can read on your tank, this may require professional help as the tank will be under normal water pressure even if the water's stone cold). You may also need to flush out the tank; sediment can collect at the bottom over many years and reduce the efficiency of the heater. 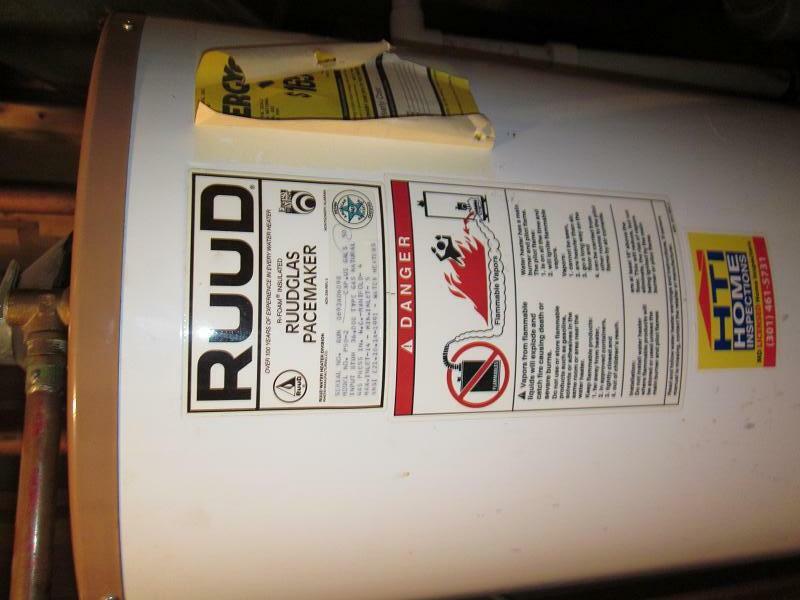 A 1991 water heater is approaching the end of its rated life, but ratings tend to be pretty conservative on these types of things. I wouldn't be surprised if you got another 10 years out of it. The one I have is the original in a 30-year-old house, and it works just fine, but we have the money for a new one sitting in savings just waiting for a hiccup. Ours is also in a garage (I'm in Texas, so no basements, just a slab on grade or in really soft-soiled areas pier-and-beam), so even if it fails completely and drains out it's not going to cause much damage (just a big ol' water bill and a few cold showers). I agree with most of what KeithS said in his answer and I would only add that when I saw the particular symptom of slow heating in my hot water heater the cause was a fairly substantial amount of sediment inside the base. 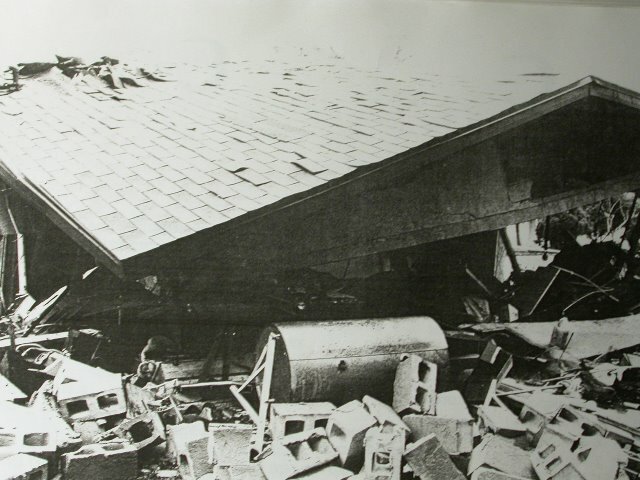 If the tank is in general good health, flushing could solve this problem, but depending on the severity it could have also stressed a lot of the parts. If you think you'll see another 5-10 years, it's probably worth having it serviced. Replace it, cheapest $800 - $1,500 you'll ever spend. Twice I've had water heaters at end of life, 15-17 years old, working absolutely perfectly until they weren't. Both times I was overseas when I got the word the lower level was full of water, everything ruined. One was a tenanted rental property so had to arrange replacement remotely ASAP. I'll keep my cars and trucks running over 200K miles but I don't mess with water heaters. Think Faulkner..."...a mule will gladly serve you for 10 years without complaint just to have the pleasure of kicking you once." Not the answer you're looking for? Browse other questions tagged water water-heater or ask your own question. Rust spots on water heater — time to replace? How can I identify the source of a leak at the hot water heater? 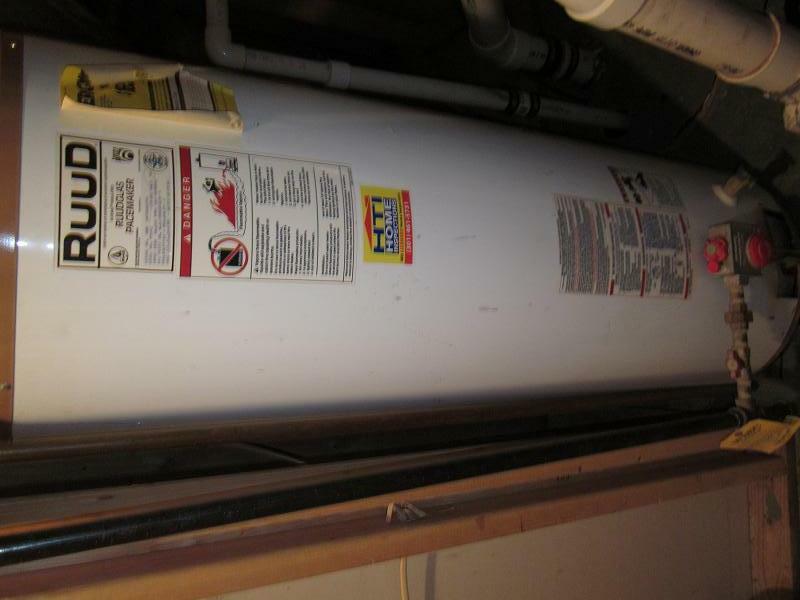 Replacing a hot water heater: tank or tankless? Why is the first shower of the day is colder than the second? 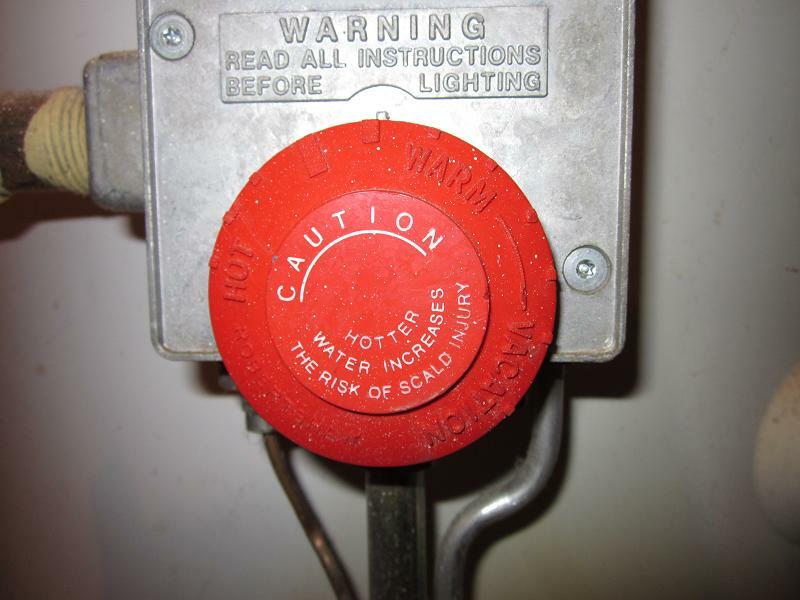 Is it about time to replace the water heater? Should I replace a water heater preemptively?